With the recent addition of quality small bars in the Perth CBD & Northbridge precinct, The Foodie Hub caught up with Mike de Vos who is working hard with fellow directors Dave MacNish & Tye Harper to realise their vision in a planned Small Bar to compliment Perth’s scene, namely “Choo Choo’s”. We interviewed Mike de Vos to gain some background & insight into his career. Mike is no stranger to the Perth hospitality scene. He has been working in the industry for over 10 years now with stints at Hudson, Perth’s first small bar, The Luxe & currently a managing role at Bobeche in Perth. It is in the industry where he met his fiancé Ilona & gained a passion for serving outstanding cocktails with his personal flavours hinted towards bringing in whiskey & rye based bases. 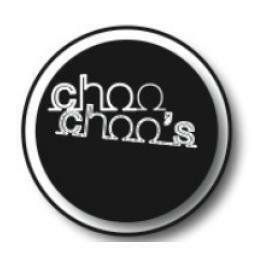 Choo Choo’s is a planned small bar in the CBD with a difference. Cool furniture, a relaxed vibe, quality cocktails & a passion for educating people about what they are drinking, a little history about it & why it is good mixed makes for a journey like experience. Slotted in underneath The Heritage (Bobeche) & The Trustee, Choo Choo’s plans to offer a venue to hold up to 105 patrons, a very cool collection of furniture, a relaxed & enjoyable social environment, an extensive drinks list, quality cocktails mixed with attentive, friendly & knowledge powered staff. Mike de Vos (left) & Dave MacNish (right) outside the site of Choo Choo’s at the base of the BHP Building/Brookfield Place. We sat down with Mike & delved into his extensive knowledge behind the bar. What is your favourite mixer right now, and why? Add all ingredients except pedro to shaker and shake. Strain over ice and sinkpedro. Bang! I also like to use the flavoured bourbons as a sweetening agent ie. in a drink called a “Fwhiskey Fweesome” 50ml Glenmorangie, 10ml american honey, Ardbeg 10yr rinse. Glen and American honey to a mixing glass. Add ice and stir. Rinse coupe with the smokiest, peatiest little number you can find and strain the mix into rinsed coupe. I think it’s ok.
What sort of crowd is attracted to these Bourbons? It is still a predominantly male orientated category but it is easy to introduce people to bourbons like these. These are a great way to bring people into the category. A great introduction to something that people will shy away from. A nice way to transition into the complexities and nuances you can find in American whiskey be it picking the citrus notes out the rye or finding a honey flavour on the back palate from Makers Mark. What are the pluses of the Bourbon as a mixer? drink and transition people into trying something that may have perhaps been out of their comfort zone. Why is it hot right now? Bourbon is great in cocktails and can be used in a variety of things from adding some flavour to a Manhattan, or a sweetener instead of grenadine to a monkey gland (think cherry). Also works very well as a mixer.